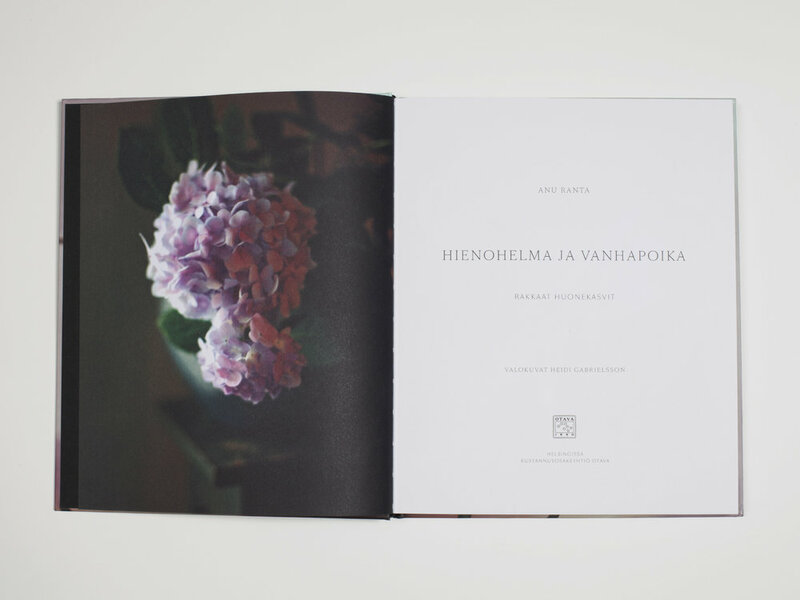 Book design and photography for Anu Ranta’s book “Hienohelma ja Vanhapoika”. 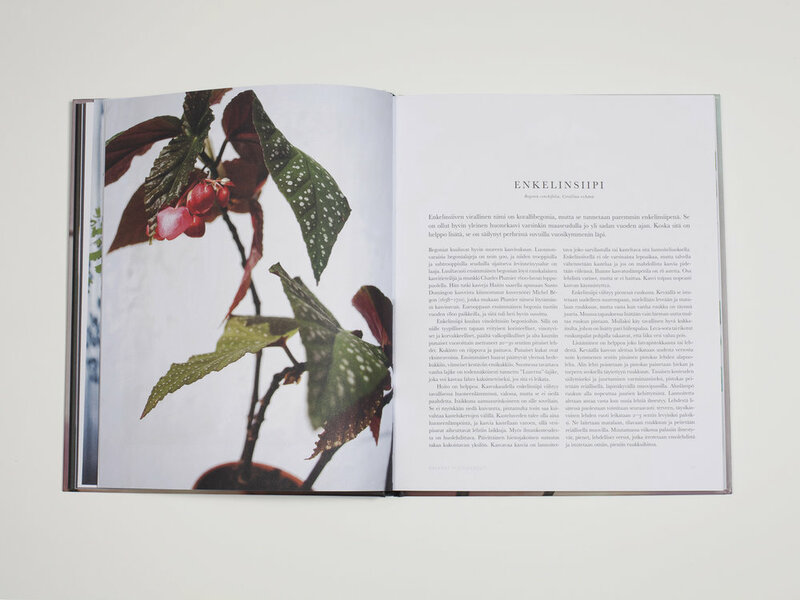 The book is a reference book for those who want keep at home and look after the old houseplants that have a history and story behind them. 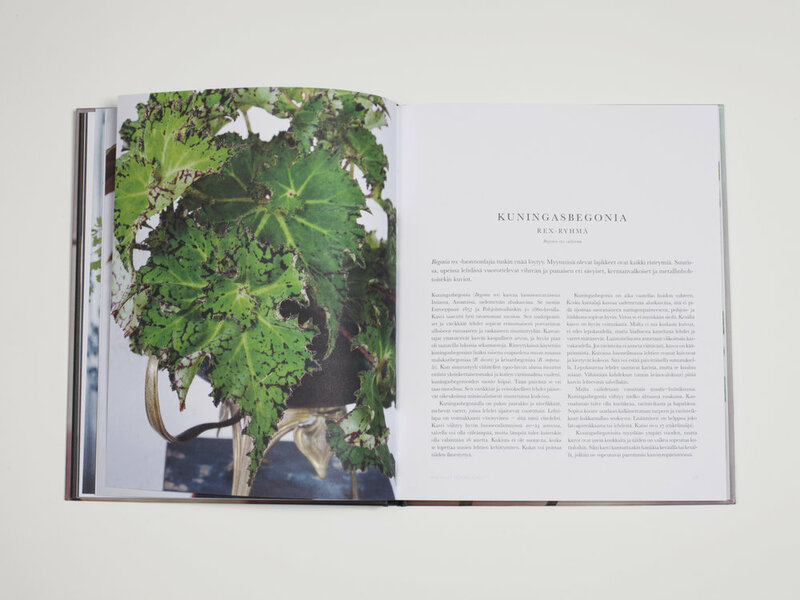 Some of the plants are traditional and some of theam are rare, but most of them have an interesting history behind them. 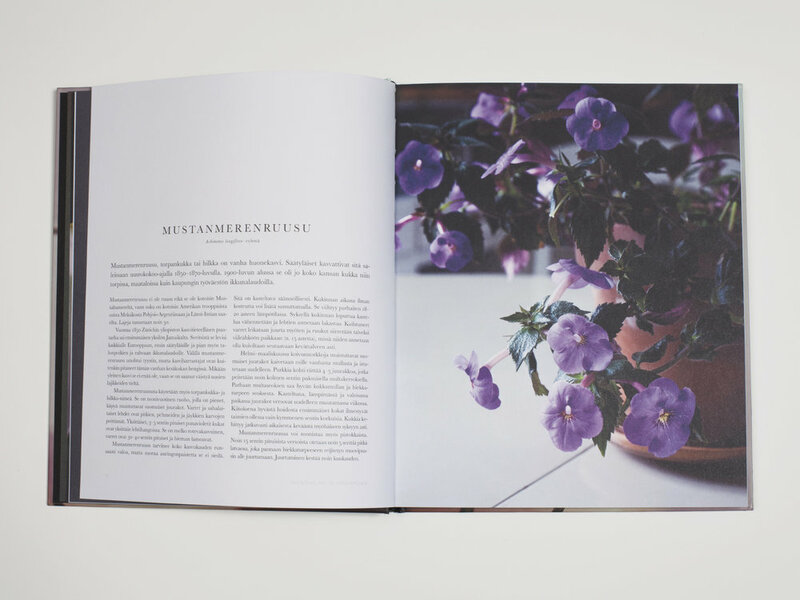 The book refers to old Finnish houseplants that are still available and around. 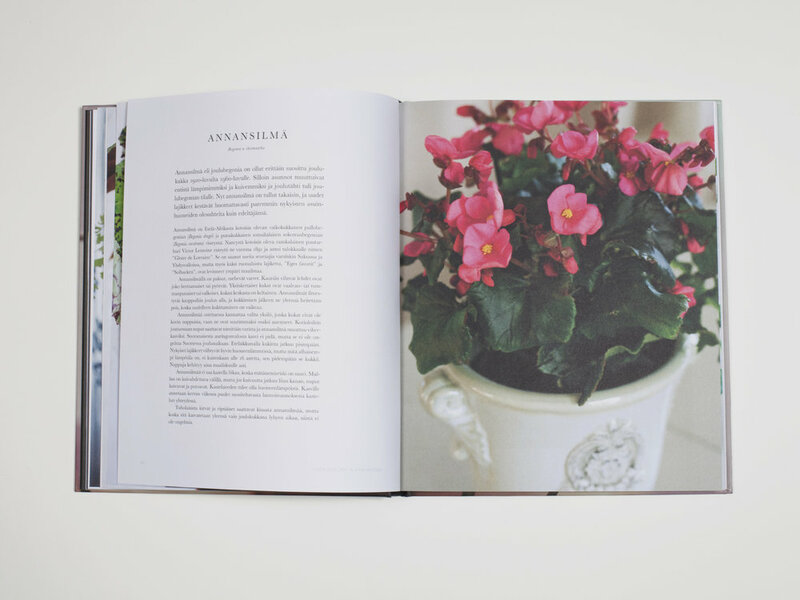 The style is a coffee table / lifestyle book and the information is written in an easy to access attitude. 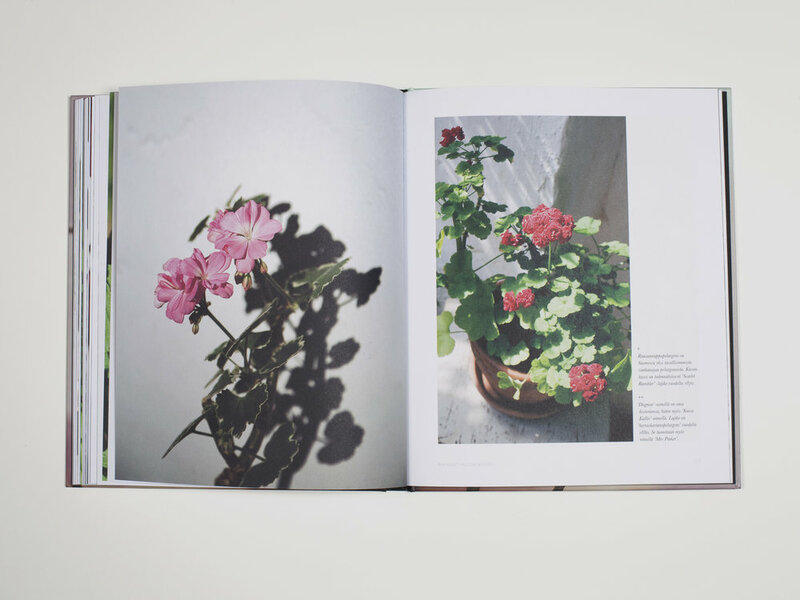 I tried to achieve a timeless visual atmosphere in this book and also look at the flowers as I was taking portraits of them – every plant has it’s own mood. I made choices in typography and layout that it wouldn’t be confined to any certain time or trend.